What is the Difference Between Co-ops and Condos? Have you wondered about the differences between co-ops vs. condos? You're not alone. Although, it may surprise you to learn that condos did not become popular until the 1960s. When FHA guidelines finally allowed financing of condos, the condo complex concept took off. Before that, almost all buildings that allowed many multiple owners were co-ops. Today, you'll find most of the co-ops or cooperative housing buildings in large metropolitan cities. People tend to associate co-ops with New York City, but you can also find co-ops in major cities such as San Francisco, Minneapolis, Washington, D.C., Atlanta, Boston, Seattle, Indianapolis, Detroit and Chicago, Tucson and Phoenix, including a few in Florida and others sprinkled throughout the East Coast. A co-op is not really real estate. Real estate is land, coupled with any structural improvements, including underground and air rights. Instead, a co-op is a corporation. When a buyer purchases a co-op, the buyer is purchasing shares in the corporation and a right to occupy a specific unit. A co-op buyer is not buying the unit or a portion of the building itself. Further, a co-op buyer may or may not be able to finance the purchase of the co-op. Not every bank will make a co-op loan. Among the banks that will make a co-op loan, not every co-op qualifies as a qualified building. Buyers should check with their lender to find out if the co-op is on its approved list. A co-op buyer also pays a monthly fee to the co-op. That fee includes a prorata share for the building's mortgage, if any; the salaries of a doorman, maintenance staff, possibly a building superintendent; insurance for the structure; regular maintenance, upkeep and cleaning of the common areas, including real property taxes. One possible drawback to a co-op, say critics, is the fact an owner will often pay two mortgages. She will pay her own mortgage for the co-op and the building's mortgage for the co-op, which could also be refinanced loan to pay for capital improvements for the building. Unlike a co-op, when a buyer purchases a condo, the buyer is purchasing real property. The buyer owns the space between the walls, floors and ceilings, generally to the midpoint. The unit is assessed separately for tax purposes, and the buyer pays the taxes directly to the county assessor (or through a lender's impound account). A condo can be financed separately and the property is secured by a trust deed or mortgage, depending on state laws. The structural design of a condo is an individual unit, which can be a single story, multiple stories or even detached. For example, I own a single-family home in Hawaii that is designated as a condo, yet it is a free-standing structure, with its own yard. The buyer of a condo also, like a co-op buyer, pays monthly fees. These fees are paid to the homeowner's association. The fees to the HOA pay for maintenance of common areas, the exterior of the building, the roof, insurance, association management and might often include some of the utilities such as water and trash pickup. Some HOA dues include fees for a clubhouse, exercise facilities and a swimming pool/spa. Generally speaking, a co-op is often cheaper to buy than a condo, which means it can cost more to buy a condo. However, the tradeoff is the fees paid to a co-op might be higher than a condo's HOA dues. A major difference between a co-op vs. a condo is the fact not any warm body with cash can buy a co-op. Co-ops are governed by a board of directors, determined by the shareholders of the co-op. Condos are governed by a board of directors as well, but those boards do not approve buyers. The co-op board has the right to approve a prospective purchaser. While the buyer cannot be declined due to discrimination defined by Fair Housing law, buyers must pass a rigorous screening. Some co-ops do not allow foreign buyers to purchase a unit. Many co-ops do not allow investors or second-home buyers as they prefer owner occupants. Co-op boards will scrutinize a potential buyer's application, financial statement, list of assets and liabilities, credit report, banking balances, including a review of letters of recommendation from friends and business associates, topped off by a personal interview. While this procedure might seem like an extreme invasion of privacy, owners in a co-op approve of this process because they can be highly selective of the people who live in the building. When a person buys a condo, there is no selection process of the neighbors, no way to prevent a loud death metal band from taking up quarters next door. On the other hand, the co-op board also approves the purchase price. If the price is so low that it could affect the values of the other shareholders, a co-op board can decline to approve the sale. 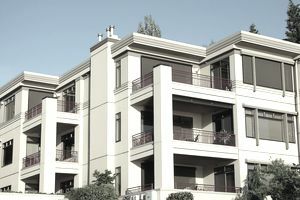 A condo HOA has no such authority to prevent a sale. Many condo complexes limit the number of rentals as a percentage of the total units. The percentage generally ranges from 80 percent owner-occupied to 50 percent. This is intended to prevent the complex from turning into an apartment complex and lowering values. Most co-ops do not allow subleases nor rentals. One can live in a condo complex for years and never know the neighbors. That is unlikely to happen in a co-op where the owners know everybody and everything about you.